Rich people talk about abundance all the time, but they don’t have bills stacking up and mouths they can’t afford to feed. In the last session with JV Crum III we talked about heart passion, deciding the kind of coach you want to be, and overcoming the discomfort around charging for what you do. In this session JV shares his views on abundance and why you must master it to achieve success. It’s fine for people that have already achieved success to have an abundance mentality, but what if you need clients NOW or you soon won’t be able to pay your bills? If you’re in this situation, how can you possibly have the abundance mindset? Sitting around thinking the world has scarce resources and obtaining success will be hard/impossible. Thinking that you don’t have much worth and therefore shouldn’t charge much. Programming your mind on a daily basis with affirmations, and then going out and taking action. Which one of these do you think you would enjoy more? Which one do you think will bring more money in? The great thing and the trouble with society these days is that absolute poverty doesn’t exist…well, not in most countries. It’s very easy to become comfortable doing what you do. You can have dreams and aspirations of doing something one day, but you’re not starving if you don’t. Millionaire success story after success story comes from tales of poverty, when the storyteller’s back was up against the wall. These stories always unfold the same way: Achieving success only once, they decided not to conform to the misery that awaited them. They decide what they want, go after it, and don’t stop until they get it. JV jokes that there are no entitlement programs for millionaires. You need to decide which side of the world you live on. Do you want to think of yourself as a victim? Do you want to think of yourself as entitled to something that someone else should give you? Or do you take responsibility for your own success and have the will to make it happen? JV suggests that successful people at the core personify personal responsibility every day. They don’t see it as a burden but as a liberation. 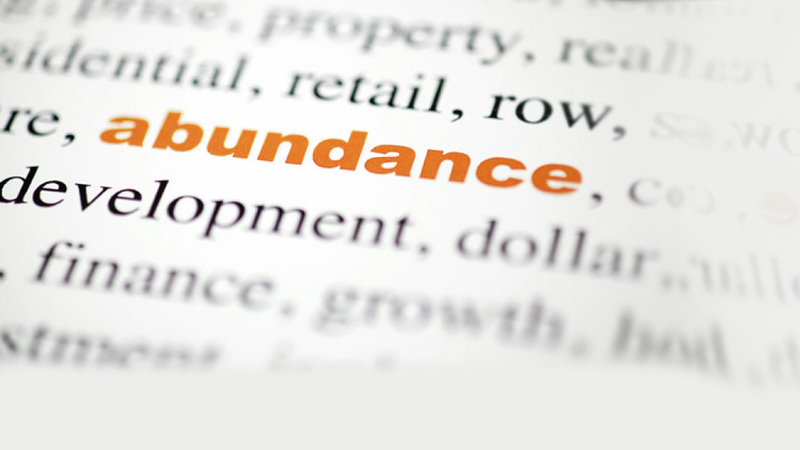 So how do you embrace abundance when obtaining clients? For coaches that have trouble charging a certain amount of money for coaching, just make a decision that you won’t accept a lower amount and convince the prospect you’re worth it, knowing if they don’t agree or can’t afford it you will walk out. Then decide you are going to go out and get two or three of those clients in the next two weeks. Don’t hope, wish, or see how you go; actually do it! So what questions can you ask yourself to develop the right level of thinking? How am I going to achieve this? – As opposed to talking about all the reasons why it’s not possible and letting them become your alibi. Remember to truly embrace the thinking of abundance. You must be true to yourself, and teach your mind that you will put in the effort required to get the results you truly want. 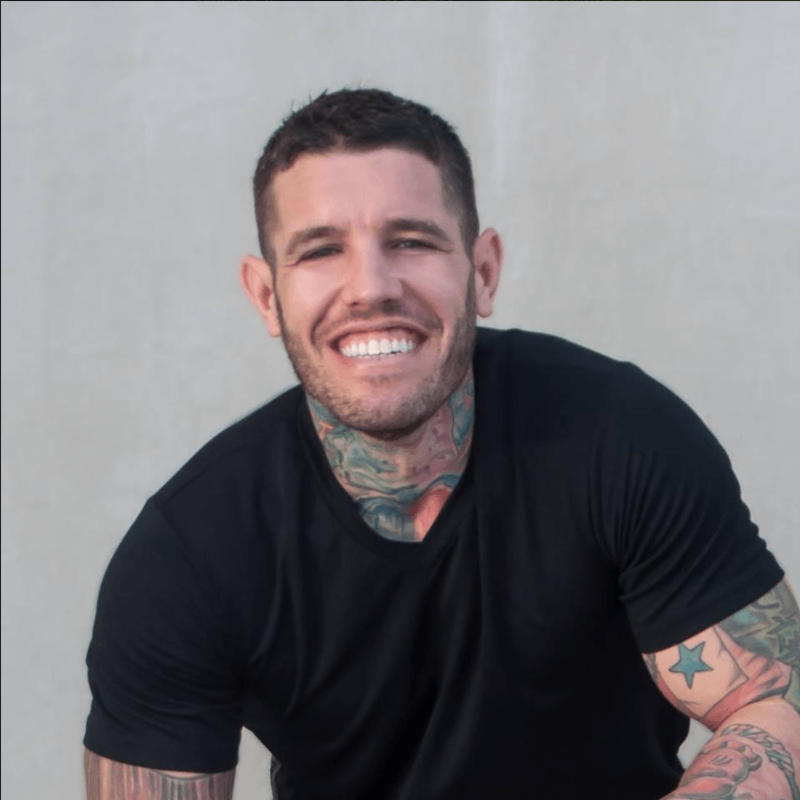 J V Crum III is a best-selling author, marketing and strategy expert, and founder of Conscious World Foundation, an international business coaching and training company that helps conscious entrepreneurs get their gifts out into the world and make a positive impact by building a profitable business. He holds a MBA, law degree, and has a Masters in psychology, and is a serial entrepreneur who has built and sold his own companies. Matt: Hello everyone and welcome back to Better Business Coach. My name’s Matthew Pollard, and as always, I am your rapid growth guy. For those that are picking up from the last interview, we are with J V Crum III, and we’re talking about the abundance mentality. So J V, I’m gonna move straight back into it and ask the hard question, that I know a lot of people have probably got in their mind. It’s fine for you, and it’s fine for me. I mean you’ve got an MBA, a law degree, a masters in psychology, a successful podcast, you’re working on charities – and you’ve been very successful in a lot of your own business ventures. So for you to have an abundance mentality, I guess it’s very, very simple – because you don’t need money today. What if that wasn’t your situation? How can you be abundant when you need clients? J V: Yeah, I think that’s a very, very good question. And I’m gonna have to ask you to stick with me here. Because – ask yourself, “Which is going to be the easiest way to get rich?” Now let’s just get it down to the brass tacks here. Because to me, Conscious Millionaire is about becoming wealthy, it is about becoming rich. I celebrate becoming rich, and there is nothing wrong with that. If you think something’s wrong with rich, you’re living in a scarcity mentality, ’cause you think you’re taking it from somebody else. Otherwise, you know that your life and your family and all the people whose lives you can touch are better off if you have more money. It’s just that simple, that’s the way life works, okay? So, ask yourself which is going to be the easier way for you to get rich? Sitting around thinking that you don’t have much worth, and therefore shouldn’t charge much. Or programming your mind on a daily basis – and that’s why I’ve created this new podcast you and I were talking about – Motivation. And it’s 3 minutes every day, Conscious Millionaire Motivation. Motivating yourself, putting affirmations in your mind. Repeating them over and over in the morning, throughout the day – to program yourself into a positive outlook about what is possible for you, and then going out there and taking action. Which one of those paths do you think you’ll enjoy more? Which will bring more money in? I grew up I would be a millionaire. And I’m sure they all went, “Oh what a cute little kid,” right? But I didn’t care. And you’ve got to be of the same way. You’ve got to decide what you want, and then start telling yourself you’re gonna get it. Because that’s the fastest way to get there – not sitting around saying, “I have to charge less, or I won’t find anybody.” Decide who you want and go after it full force, and don’t stop till you get it. Matt: That’s exactly right. Now look, the trouble with society these days is it’s very easy to be comfortable doing what you do. Matt: So you can have dreams, aspirations of doing something one day. But again, you can always survive. You’re not starving anymore. The government offers a lot of support, family will offer a lot of support. J V: Oh gosh, I want to do my joke. Can I do my joke? Matt: Course yeah, do it, definitely. J V: I haven’t done this in so long, and everybody can borrow it, it’s a free joke. It’s a free joke, it’s so simple. There are no entitlement programs for millionaires, right? So you’ve got to decide which side of the world you want to live on. Because the truth is, it’s a decision you make, right? Do you want to think of yourself as a victim? Do you want to think of yourself as, “Oh, I have to get – somebody’s got to give me something I’m entitled to.” Let me tell you, you’re not entitled to anything but what you choose to make of your life. That’s the simple truth. Everybody I know who’s highly successful, at the core of every day of their life is 2 words – personal responsibility. And what I want to tell you is personal responsibility is not a burden, it’s a liberation. Because the moment you embrace personal responsibility as your path, you can choose any destiny you want. Matt: I completely agree, and it’s so key to this kind of level of thinking. Every person that I know of that came from adversity to achieve success, it came from a time . Not when they were procrastinating, or not when things were comfortable. But when their back was truly against the wall. I mean, Pat Flynn, because he’s another podcaster, he’s a great example of this. J V: Oh yeah, he’s a great person. Matt: Definitely, and he succeeded because he got retrenched, his wife got pregnant, and he needed it to work, it had to work. And that is when all the answers come – at that specific moment. A lot of the time, I will set myself high far reaching goals, just so that I can set myself a target that puts my back almost against the wall, ’cause it creates that action for me to propel myself forward. And for coaches that struggle with charging a significant amount of money for coaching, the best way to do it is to decide that you’re not going to do coaching unless you get this specific amount of money per hour – or per group of coaching. You’re just not going to do it, and you’re going to go out and get 2 of those in the next 2 weeks or 3 weeks or – set yourself a goal depending on what your work schedule is. J V: Yeah, absolutely. And I think you’ve gotta ask the right questions. And by the way, big questions are no easier to ask and answer than small questions. In fact, I find small questions incredibly boring. And I’m not very excited about them at all. They don’t get me motivated. If you go like “Well how can you make a small amount of money?” Let’s just say, “Well how could you make $1000 today?” Even that’s not very exciting to me. If you asked me how can I make 10 or 25 or $50 000, now I’m pretty damn interested. And I want to find out how I can do that. Because I also know that that means I’m going out, and I’m adding that much value to the world. Which for me, in my case is actually the bigger purpose. Because it’s why I started the podcast, it’s why I’m doing the Motivation podcast. Is, I imagine millions of people around the world, every day for 3 minutes getting motivated to live better lives and achieve more in their business, and be better entrepreneurs who are getting the results that they want. It really comes down, you’ve got to be clear about what you want. Because when I was 5 years old, in a moment’s time I saw myself growing up to be a millionaire. And I embraced it so fully, felt it in my heart, felt it in my passion. That I was clear in that one moment that it would happen. I never questioned it one time. And yet, if you were to look at the circumstances in which I was living, you would never, ever have predicted that outcome. Matt: Could I define it, J V, into a point of – you asked, “How am I going to achieve this?” As opposed to talking about the reasons why you couldn’t and letting those become your alibi for why you don’t move forward. J V: Yeah, and the thing is – I think it can be a tricky thing if you ask the question like, “How do I get as much money as I deserve?” ‘Cause the truth is, right now, there’s a part of you that really believes you don’t deserve more. So don’t go there, because that’s kind of little trap. Instead, just get clear about what do you want. What do you want, right? Because that’s a little bit easier. Because if you say, “I want to make a million dollars a year.” Okay, if you want to make a million dollars a year, now start asking the questions, “What would be the first step?” What would be the big platform that I would need? What would be the program that we get there? Because if you want to make a million dollars as a coach, we already know the answer’s not 1 on 1 coaching. It doesn’t mean you’re not gonna do 1 on 1 coaching, but the likelihood- The likelihood for most coaches, that they’re gonna make a million dollars from 1 on 1 coaching – there’d be a few. Is now you’re doing some kind of a group program, some kind of a mastermind. It may be multiple levels of a group program. But now you just know that that’s what it is, and you probably want some products to go along with it, right? Because digital practice is a whole lot easier to leverage. But your answer, your answer – period. Is now, now you’re asking a question about, “Which way are you going to leverage?” ‘Cause it’s the only way you’re gonna get to the million dollars. It’s you, and you’ve gotta leverage to get to the million dollars. But now you know what the path is. 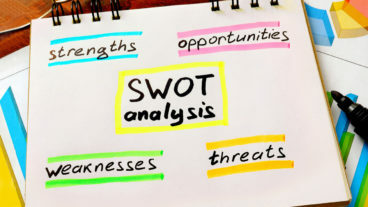 Now you start looking at all the different ways you could leverage, and what would they mean? And which ones would you be excited about? Because if we’re not excited about them, don’t go there. It’s not your path. Matt: J V, you offer so much value, that’s why I was so excited about getting you on the show. And we could do this for hours and hours and hours. So it’s probably just as well you have your own show. Because you have just wealth’s of knowledge to share with your listeners. And as a listener of your podcast myself, I know just how much content you give out. And you’ve got some absolutely amazing guests. So why don’t you take the floor for a second and share people how they can find you. J V: Well just like yourself, and I really want to thank you for being on this show. Matt: You’re more than welcome. I actually really enjoyed your show. You’ve got that little bit of a differentiation in the way you do things. And it was, it was just a wonderful experience, and I really did enjoy it. Matt: But tell a little bit more about your show, how they can find you. And I know that you – you’ve got a gift that you give people that come to your show. So feel free to share it with us so people can get access to you more often. J V: Sure, absolutely. 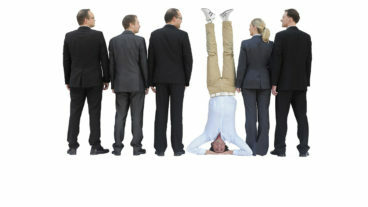 Well you can go to consciousmillionaire.com – the direct link for the website, for the podcast is consciousmillionairepodcast.com. We actually have 3 podcasts. The third one is coming out in May. So that’s gonna be on health and fitness for busy entrepreneurs – which I’m very excited about. I have 8 recordings for that on Thursday. That’s a very exciting avenue, and I’m doing that one – I’m taking pictures of myself because I went through a health crisis when my father died. Gained weight, had all kinds of health problems, almost died. And so I realised that – what occurred for me actually is that most entrepreneurs really are on a rollercoaster, we’re on a rollercoaster. That’s what it is. It’s not a 9 to 5 deal. We’re in a different world. And how do you have not just good health, but while taking that rollercoaster, how can you have amazing health? How can you have optimum help so that you’ve got all the energy and all the vitality? You really need not just to be a successful entrepreneur, but to have a successful life, and a long life. Because at some point, you really need to start looking. The time to start preparing for a long life is today. Do you want to leave at 60’s or 70 – or do you want to leave at 80 or 90 or 100. Because they’re all possible. And the people who are gonna live the longer – and if you live long, right? If you live long, don’t you want to be vital? Do you really want to be in a convalescent home? ‘Cause I don’t, I’m not in the slightest interested in that. If that’s the way I’m going, I’m not gonna go at all, right? Not my interested. I want to be vital where I’m out there and hiking and I can go to Nepal when I’m 80 or 90 years old. ‘Cause people can do it, and if they can do it, I can do it too. And if you’ve got your diet and you’ve got your fitness and health, alright you can do it. Then we have Conscious Millionaire Motivation, which is 3 minutes a day to really get you empowered in your zone. So you’re fired up and connected with the infinite possibilities all around you. And I give you an affirmation every day so that you can achieve at your highest. And then our original podcast, Conscious Millionaire podcast. You’ve been on. We interview successful entrepreneurs, who themselves are conscious about how they’re building their business. And it’s for you the conscious entrepreneur who wants to make a positive impact, and create high profits in your business. That’s what we’re all about. Anybody who wants to really build a business and make a positive impact, and they want to learn how they can do that and create high profits. That’s the person I want to talk to. Because that’s what I’m all about. That’s the person I’m here on earth for, that’s my niche. People who don’t want to do that, that’s great. That’s wonderful. There are other paths for everybody on earth I’m just here to help people who are on that specific path. And so, what I’d love to give you is I have a manifesto first million manifesto. It’s about your conscious path to creating 7 figures. It’s on the homepage of consciousmillionaire.com. Go there, sign up, get it absolutely free to automatically send to you. Read it and then anything that we can do – we do webinars to help you out, we do free training’s, we have great emails. Anything we can do to support you, we want to do that, because we want you to get your conscious message out there. Make your positive impact, ’cause that’s what I believe every person’s on deserves to get their message out there. I think we’re all here to serve one another. And when we get on a path of doing that, we’re gonna have the abundance. But even more important – we’re gonna have the abundance not just outside, but inside. The fulfillment and the joy. You and I both know what that feels like. There’s no bigger joy than helping another person. None, it’s impossible. That is the greatest joy in life. Matt: J V, look I really appreciate you spending the time with my listeners. I know that so many people are really going to appreciate the wealth of detail you went into in each one of those points. And I’m sure it’ll be spinning wheels inside everybody’s head. So that was just exceptional. So thank you very much. J V: Thank you very much Matthew for having me on the show. Matt: You’re more than welcome, it was absolutely my pleasure. So with that everybody, thank you very much for listening to Better Business Coach podcast. Again, if you haven’t had a chance yet, please subscribe. In iTunes, under betterbusinesscoachpodcast.com. I’d really appreciate it and thank you for everybody that has already written such tremendous reviews. You are the reason why we are currently the number 6 new and noteworthy podcasts on iTunes. And I really do thank you for that. So continue to listen, we’ll be providing you with more and more episodes with great guests like this. The ideology that you need, the training that you need to become the most successful business coach possible. 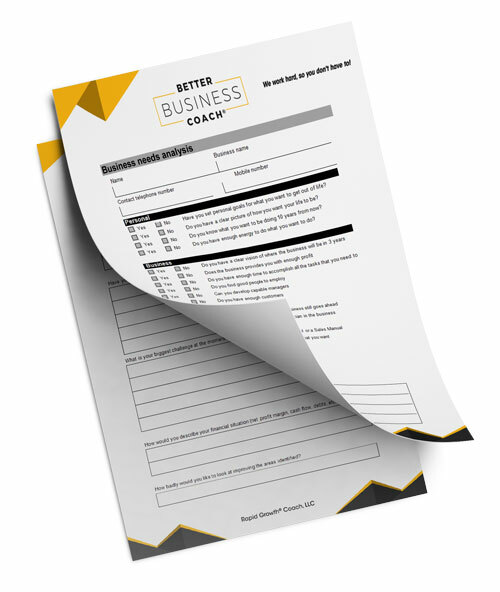 And all of the worksheets – downloadable from matthewpollard.com, or betterbusinesscoachpodcast.com. That you need to take action with your clients right away. Thanks for listening and I’ll see you in the next episode. Cheers.